Congratulations to Michelle and Andrew who wed last weekend in Boston! 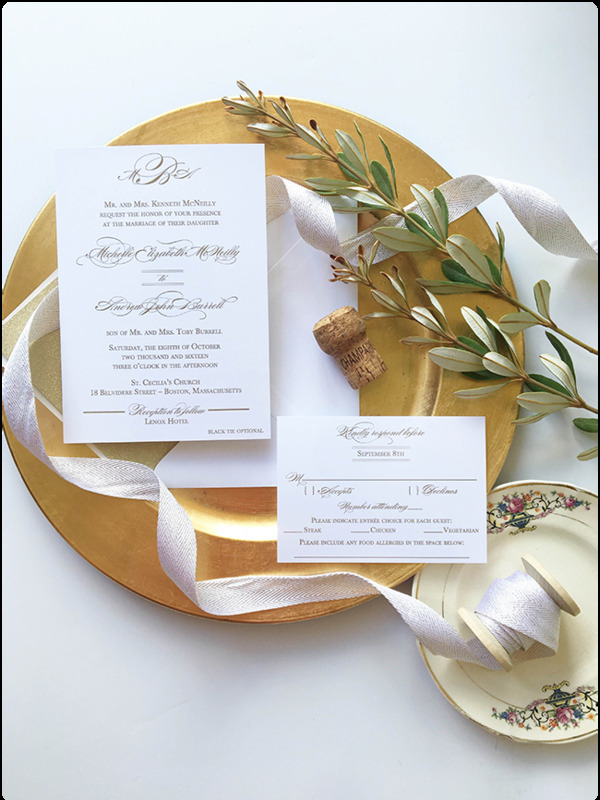 They chose our Charleston wedding invitation suite printed in metallic gold thermography. We changed it up a bit by adding a beautiful script monogram to the invitation card. I love that we used extra swirl on the script font. This is one of my favorite elements to add a romantic and timeless feel.